LIFE is the European Union’s financial instrument to support environment and nature conservation projects. In particular, LIFE+ Information and Communication projects disseminate information, raise the profile of environmental issues and provide training and awareness-raising actions. Raising awareness in local communities about the importance of species and habitat protection, is a “hard” conservation action and should always be viewed as such, since in most of the cases it constitutes the only effective measure for nature conservation. Regrettably the majority of the local population in Crete was not properly and adequately informed thus still many people believe that residing in an NATURA 2000 area excludes them from the development opportunities of the rest of the island. The present financial situation in the country has forced many people of the rural sector to overexploit natural resources in an unsustainable way (excessive and illegal logging for firewood, misuse of water supplies, land abandonment etc) or to change land uses that deprive wildlife crucial habitat and degrade the agricultural environment. Moreover one of the most significant deductions of conservation work has been the ignorance of a vast majority of specialized scientists and staff of the civil service on the utility and financial potential of the NATURA 2000 Network. 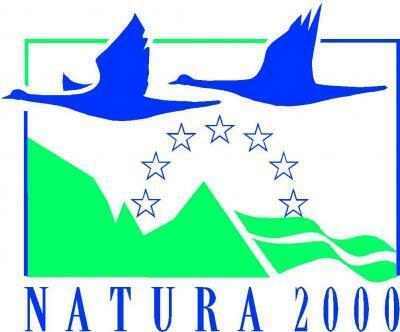 Existing information on the socio-economic significance of NATURA 2000 is mainly related to benefits arising from direct and indirect employment supported by NATURA 2000 sites, in particular through tourism and recreation. NATURA 2000 habitats and species have rarely been in the focus of the research into ecosystem services. However, the integration of the ecological value of NATURA 2000 network to the local rural economy potential will contribute to sustainable development in Crete. LIFE Natura2000ValueCrete (LIFE13 INF/GR/000188) an environmental awareness project, under the LIFE+ Information & Communication programme 2013, is connected to two major sectors of the island's economy and EU perspectives namely the importance and capabilities originated from rural development and farming in semi-natural habitats such as the majority of the Mediterranean mountain landscapes and the promotion of outdoor recreation in the NATURA 2000 sites. In cases relevant agricultural methods and infrastructure e.g. nature-friendly farming practices, expansion of mild eco-tourism in the mountains or sustainable development plans in coastal zones will be promoted. Main project’s actions are the development of printed (three information booklets on the ecological, social and economic value of the rural, mountain and coastal ecosystem respectively, posters, banners, two special issues of “Oionos”magazine, t-shirt, hat, sticker, calendar) and audiovisual environmental communication material (documentary, TV and radio spots), implementation of public awareness raising activities (26 workshops, 10 open events, participation in local festivals, a travelling photo exhibition), development of an Information Centre (Natura Hall) at the Exhibition Premises of the Natural History Museum of Crete, implementation of an environmental education campaign and promotion of key messages of the environmental communication campaign through media work at local level (press conferences, advertising campaign and broadcast of the documentary). 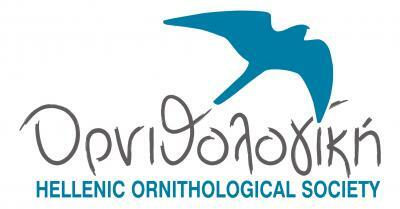 Moreover, training seminars will provide specific skills to professionals involved in tourism, students of University of Crete and Technical University of Crete, local journalists and media employees in order to support the conservation objectives of the NATURA 2000 as being beneficial to local economy and society. The project's impacts will be monitored to gain representative feedback regarding the communication campaign and its messages and systematically identify the effective components of the campaign. The project is also funded by the Ministry of Environment & Energy with the amount of 100.000 €.